Israeli forces intervene Palestinians with tear gas during a protest within the "Great March of Return" demonstrations at Al Bureij Refugee Camp on the Gaza-Israel border, in Gaza City, Gaza on Dec. 7, 2018. Israeli forces deployed along the volatile border with the Gaza Strip have fired live rounds at rock-throwing Palestinian protesters ever since demonstrations against Israel's long-running blockade of Gaza began in March. And for eight months, Israeli snipers have targeted one part of the body more than any other — the legs. The Israeli army says it is responding to weekly assaults on its frontier by Palestinians armed with stones, grenades and firebombs. The military says it opens fire only as a last resort, and considers firing at the lower limbs an act of restraint. Still, 175 Palestinians have been shot to death, according to an Associated Press count. And the number of wounded has reached colossal proportions. 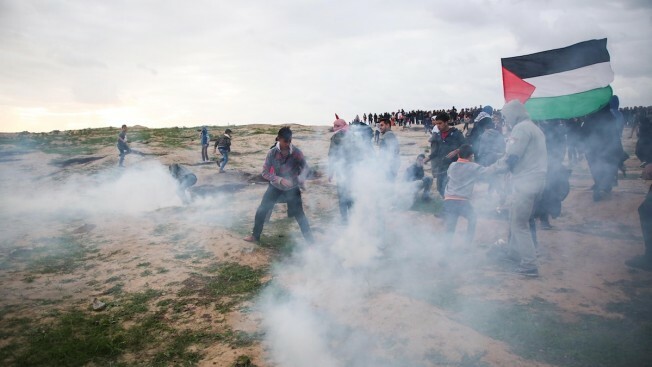 Of the 10,511 protesters treated at hospitals and field clinics in Gaza so far, at least 6,392, or roughly 60 percent, have been struck in the lower limbs, according to Gaza's Health Ministry. At least 5,884 of those casualties were hit by live ammunition; others have been hit by rubber-coated metal bullets and tear gas canisters. The upsurge in violence has left a visible mark on Gaza that will likely remain for decades to come. It is now common to see young men walking through dilapidated streets on crutches. Most have legs bandaged or fitted with a metal frame called a fixator, which uses pins or screws that are inserted into fractured bones to help stabilize them. The wounded can often be seen gathering at a treatment clinic run by the Paris-based medical charity Doctors Without Borders in Gaza City, where Associated Press photographer Felipe Dana took portraits of some of them. Some of those he photographed acknowledged throwing stones toward Israeli troops during the demonstrations. One said he had hurled a firebomb. But others said they were unarmed bystanders; one paramedic said he was helping rescue the wounded, while another man said he was waving a Palestinian flag and another said he was selling coffee and tea. 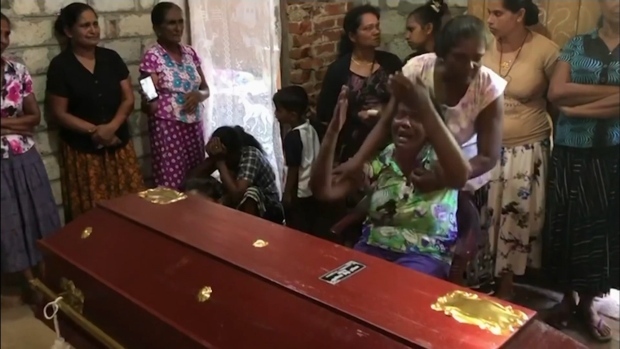 International human rights groups have said the military's open-fire rules are unlawful because they allow the use of potentially lethal force in situations where soldiers' lives are not in immediate danger. Lt. Col. Jonathan Conricus, an Israeli military spokesman, rejected international criticism that Israel's response has been excessive. Instead, he said that firing at people's legs was a sign of restraint. "Sniper rifles against hundreds or thousands of rioters that are violently trying to get into Israel with the open aim of killing Israeli civilians or abducting Israeli soldiers, I don't think that's disproportionate," he said. "I don't think it's disproportionate to shoot at feet or legs to get them to stop, rather than killing them." Doctors Without Borders said this month that the huge number of patients was overwhelming Gaza's health care system, which has already been severely weekend by a blockade imposed by Israel and Egypt that has fueled economic stagnation and rampant unemployment, and devastated water and electricity supplies. The Paris-based aid group said the majority of the 3,117 patients it has treated have been shot in the legs, and many will need follow-up surgery, physiotherapy and rehabilitation. "These are complex and serious injuries that do not quickly heal," the group said. "Their severity and the lack of appropriate treatment in Gaza's crippled health system means that infection is a high risk, especially for patients with open fractures." "The consequences of these wounds ... will be a lifelong disability for many," the aid group said. "And if infections are not tackled, then the results could be amputation or even death." Gaza's Health Ministry says it has carried out 94 amputations since the protests began, 82 of them involving lower limbs.